Can anyone tell me what the maker marks are? 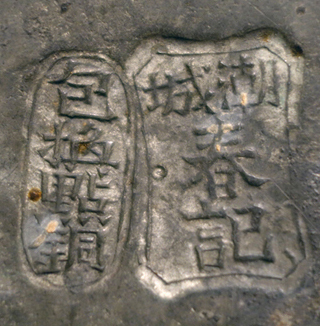 I've looked at a few Swatow pewter marks but these characters seem different. Maybe older? Not Swatow? 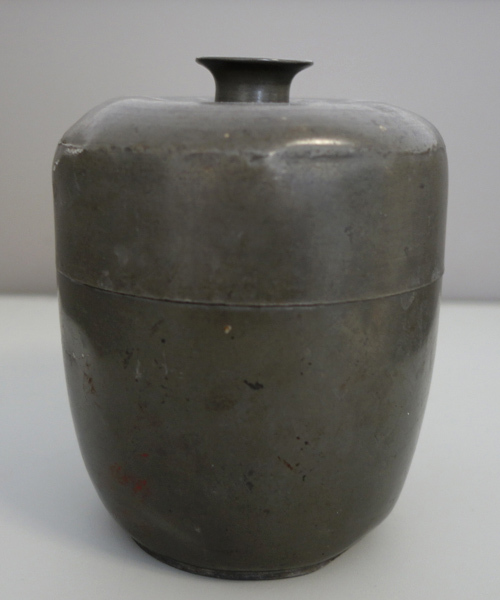 Is it a tea caddy?